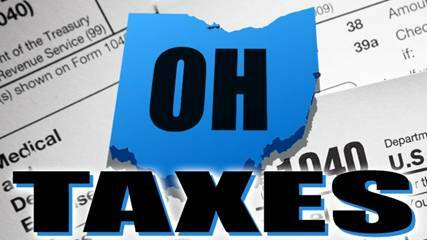 Ohio Bureau Chief Gerry Manders says today may be Tax Freedom Day in Ohio, but it won’t arrive for the country as a whole until April 16. 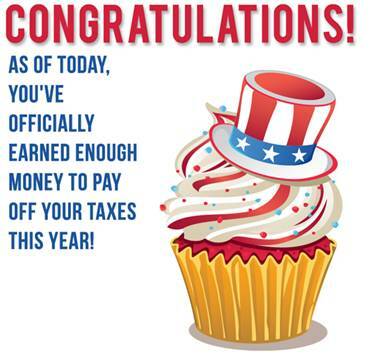 According to our friends at The Tax Foundation, today’s the day in Ohio each year you stop working exclusively for the government, because every dollar you’ve earned so far this year will have theoretically gone to pay all of your federal, state, and local taxes for 2019. 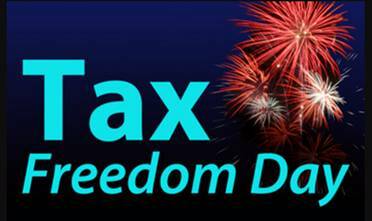 Gerry Manders says Tax Freedom Day comes to Ohio only two days before “Tax Freedom Day” in America on April 16 (just the 105th day of the year), four days after Hoosier Daddy says Tax Freedom Day arrived in Indiana on April 10, and two days after April 12, when Bluegrass Bureau Chief Ken CamBoo says over-taxed payers on the South began working for themselves, since everybody knows state and local taxes are lower in Kentucky. YESTERDAY AT THE CONSERVATIVE AGENDA, Political Insiders were asking Beloved Whistleblower Publisher Charles Foster Kane which was his “Favorite Day” in April. “There are so many to choose from,” Kane explained. “So it would be hard to pick a favorite.” But The Blower says “Tax Freedom Day” is the day we really plan to celebrate this year, and so should even all of those Dumbed-Down, Self-Absorbed, Media-Influenced, Celebrity-Obsessed, Politically-Correct, Uninformed, Short-Attention-Span, Free-Stuff Grabbing, Low-Information Obama Supporters Who Put The Positively Worst President in History In The White House—Twice, and Failed Trying To Give Obama a Third Term By Voting For Crooked Hillary, and get all of their “fake news” from our Obama Supporters in the Press, like the ones at The Fishwrap and on Channel 5, 9, 12, and 19. This entry was posted in Uncategorized and tagged Beloved Whistleblower Publisher Charles Foster Kane, Bluegrass Bureau Chief Ken CamBoo, Ronald Reagan, Tax Freedom Day in Ohio, The Tax Foundation on April 14, 2019 by charlesfosterkane.